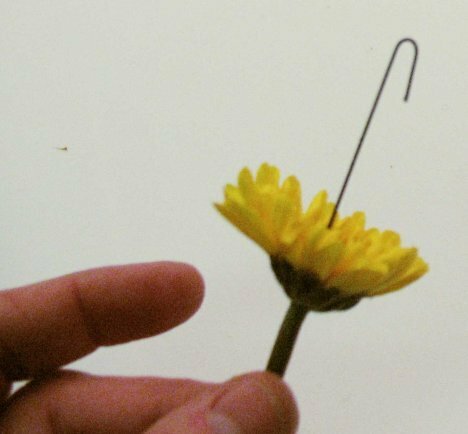 Making a boutonniere is all about learning to wire individual flower heads and leaves and combining them into a pleasing buttonhole flower. You can choose your own colors and flower varieties. 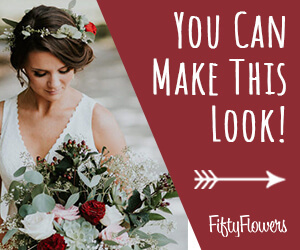 It's best to wire all flowers and greens, mist them well with Finishing Touch and assembling the boutonniere when the flowers are dry. I started with Viking Poms, which come in color shades of bright yellow to dark burnished bronze. 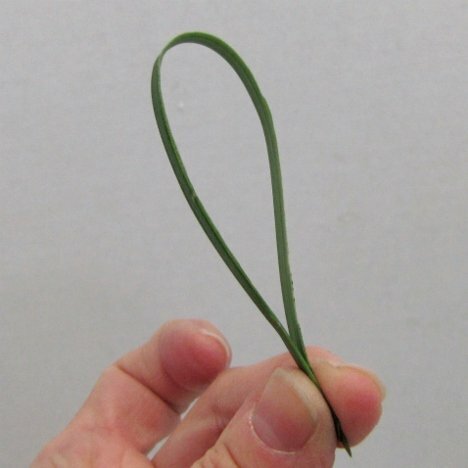 Insert a flexible wire into a Viking pomp that has been cut down to about a 1 - 2" stem. Push the wire all the way through, coming out of the center of the flower head. Create a hairpin hook at the end of the wire. 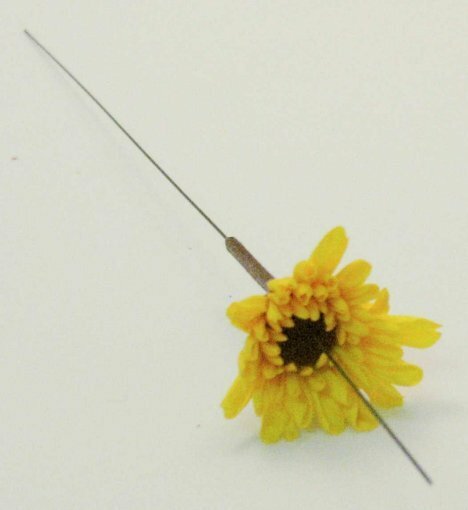 Pull the wire down gently, until it is concealed by the center of the flower. Using floral tape, start at the neck of the flower and rotate the flower while pulling downward on the tape. It will stretch and cling to itself, covering the wire. 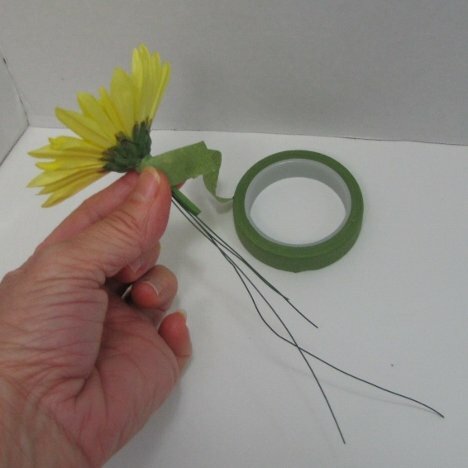 Cut shorter with wire cutters and continuing wiring another flower head and then the greenery. 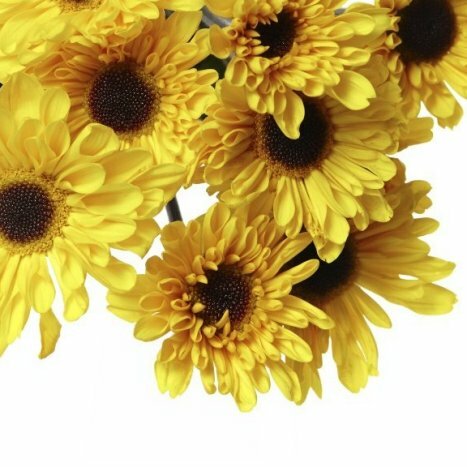 We are going to repeat the same steps with the following flowers and greens. First, wire a sprig of baby's breath, using the hook method and corsage tape. Set aside and continue wiring other pieces. 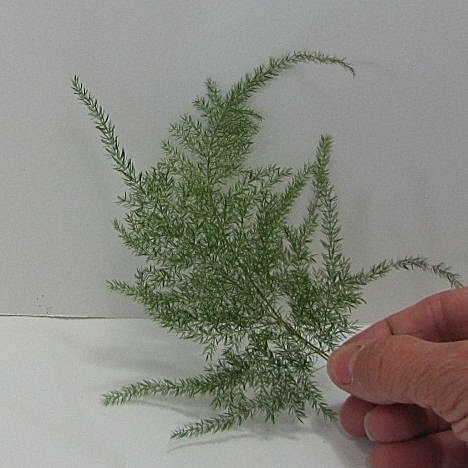 Plumosa is a feathery fern that works well in cut flower work such as corsages and boutonnieres. Wire a few small pieces as with the steps above and set aside. 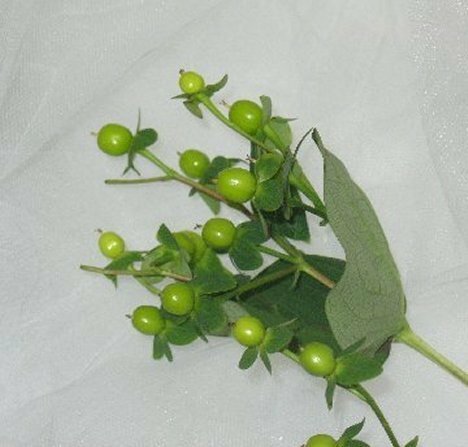 I'm adding bright contrast with hypericum berries. They come in a range of colors, including creamy white, bright green, deep burgundy and bright red. Wire a few clusters of berries, using the same hook method as with the flower above. 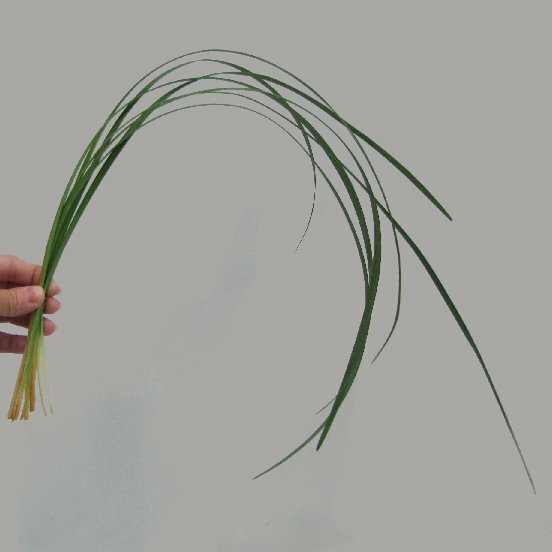 Bear grass is a fine bladed greenery that doesn't require wiring. Simply double over and tape into small loops. Each boutonniere will only need a couple of loops. 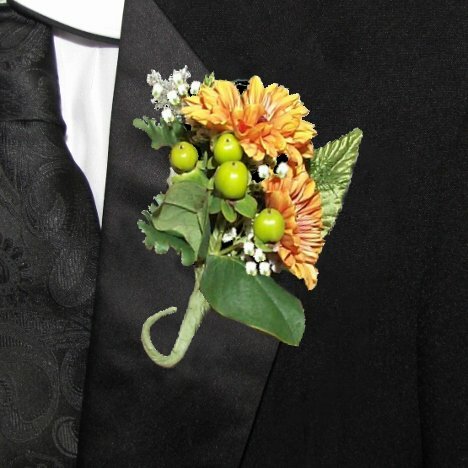 Keep them small and proportant to the size of the boutonniere. 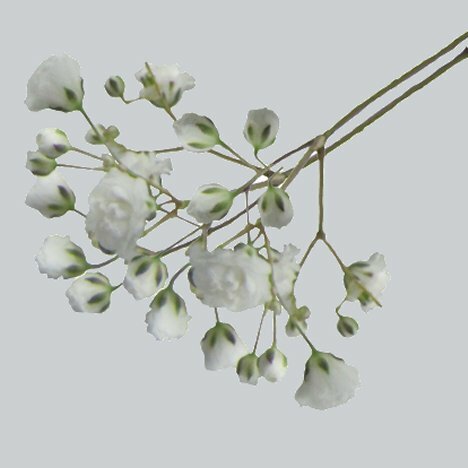 Once your focal flowers and accent flowers are wired, let's go through the steps of using either silk leaves or wiring fresh leaves.